The 2017 total eclipse will be the first such event visible from the contiguous United States since February of 1979. First to sweep across the entire country since 1918! The path of totality ( where the moon will block the view of the sun completely) stretches across parts of twelve states, including Wyoming. 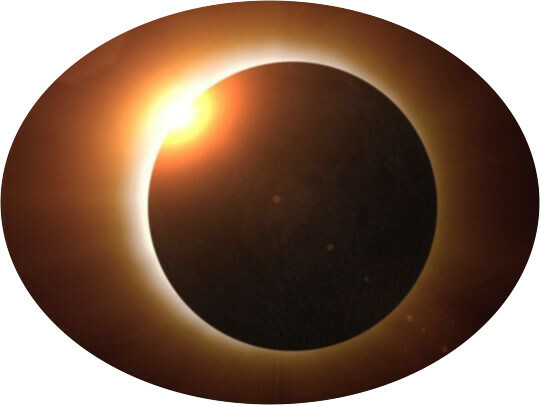 In addition to Wyoming being an easily-accessible place where the eclipse will be visible, Wyoming is listed by many subject matter experts, as the best site in the nation to view totality, due to conditions such as dry weather and clear skies. The 60 mile wide path of totality will run across the state of Wyoming for 366 miles before proceeding into Nebraska. 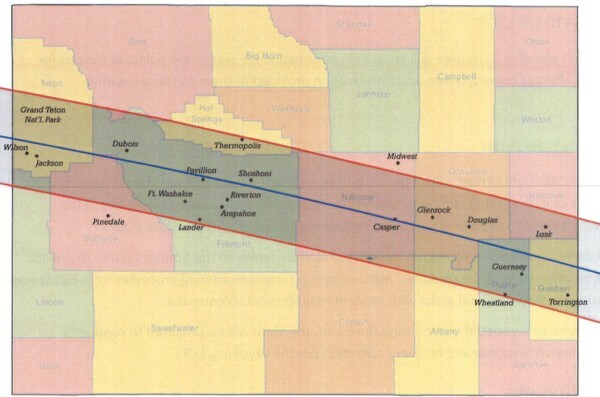 In Wyoming, the path of totality will cross parts of the following twelve counties: Teton, Lincoln, Sublette, Fremont, Hot Springs, Natrona, Carbon, Converse, Albany, Platte, Goshen and Niobrara. For information and reference on the 2017 Solar Eclipse refer to the Solar Eclipse Insert. Copies may be found at the Chamber, Thermopolis Independent Record, hotels, various businesses around Thermopolis. Hope you enjoy your once in a lifetime adventure. WE CONTINUE TO UPDATE THIS PAGE AS INFORMATION IS PROVIDED. PLEASE RE-VISIT FOR ADDITIONS.